The Americas - For players in the US, Canada, Latin America, Australia, New Zealand, and Southeast Asia. Europe - For players in the European Union, Eastern Europe, Russia, Africa, and Middle Eastern countries such as Israel and the United Arab Emirates. Asia - For players in South Korea and the regions of Taiwan, Hong Kong, and Macau. In general, players will create characters and play in their "home" region, which is determined by where they live (specifically, the country of residence registered to their Battle.net account). Global Play gives players the ability to switch to any of the other game regions via the in-game options menu, either before or after they log in to the game. Note that characters, items, and friends lists do not transfer across regions. Playing on a different region's servers means you'll be creating characters and friends lists specifically for that region, and you'll be accessing the gold-based auction house for that region. In addition, players will only have access to the real-money auction house (where applicable) when playing in their "home" game region. That means that, for characters outside of your home region, items cannot be bought or sold in any real-money auction house. 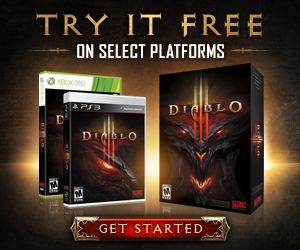 The focus of Global Play is simply to give you the ability to play Diablo III together with your friends in any region.